One of the easiest ways to cook, roasting draws out the vegetables’ natural sweetness while giving their exterior a slightly crisp bite. 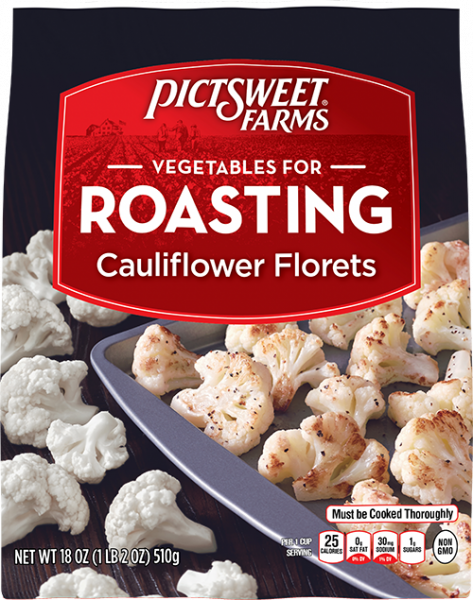 Just sit back and let the oven work its magic while the flavor of Cauliflower Florets roasts into a savory masterpiece your taste buds will love. 2. PLACE frozen vegetables in shallow baking pan. Drizzle with oil, salt and pepper. Toss to coat and arrange in a single layer. 3. ROAST 20 MINUTES or until desired browning occurs. Stir once halfway through.